Engine: GM 3.4L 60-degree V6. Edelbrock intake manifold with the top-half milled down. Holley 8007 390cfm carburetor. Earlier model GM distributor (1982 Chevy S10 spec), with MSD-6T multiple spark ignition module in lieu of GM electronic ignition. 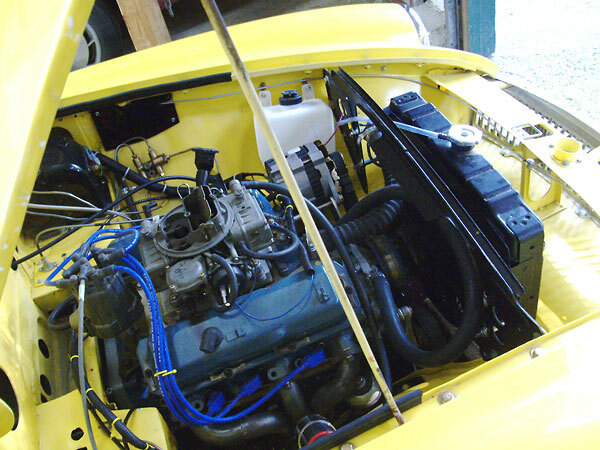 Cooling: stock MGB radiator from Moss. 14" electric "pull" fan with custom shroud by owner. 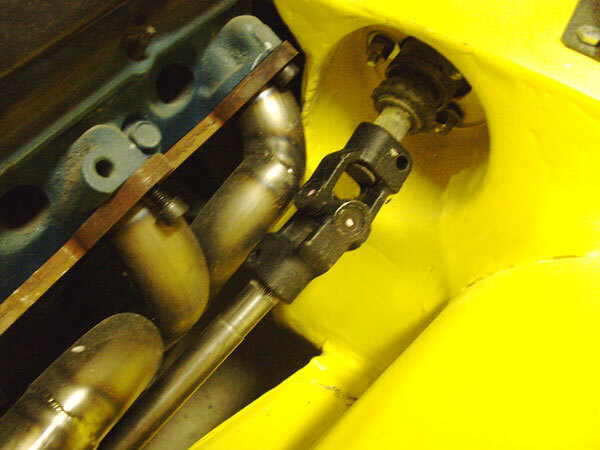 Exhaust: headers from Classic Conversions Engineering. Custom exhaust and muffler by Lorenzo Auto. Transmission: Camaro T5 5-speed. McLeod hydraulic throw out bearing. Stock MG master cylinder. Rear Susp. : rebuilt leaf springs. Polyurethane bushings. KLM telescoping shock absorbers. Brakes: (Front) new (stock) calipers and EBC slotted and dimpled rotors. (Rear) stock, with newly turned drums and new shoes. Wheels/Tires: original 14" wire rims with Pirelli tires. 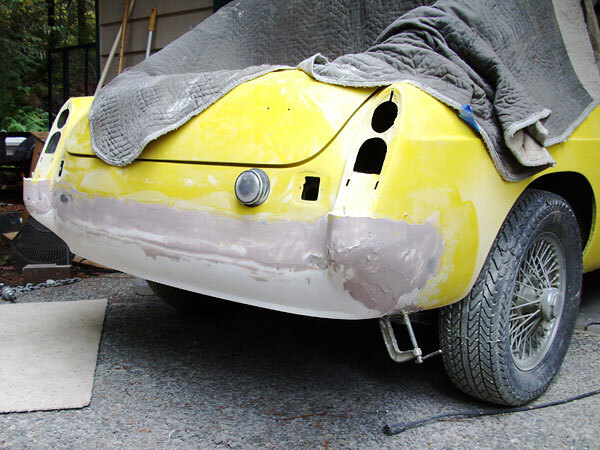 Body: The car was stripped down and sandblasted to bare metal. PPG Deltron 2-part base coat and 2-part clear coat. 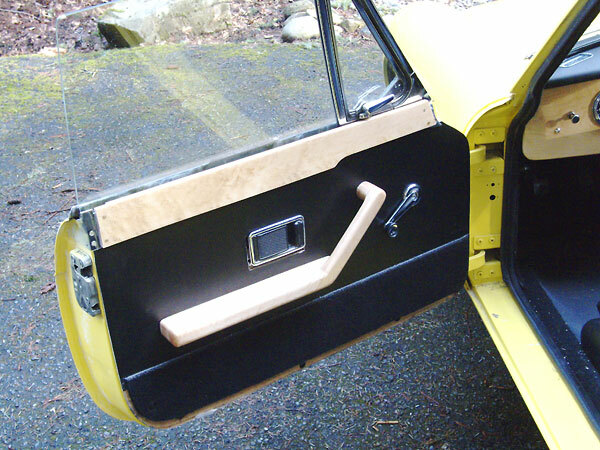 Front and rear fiberglass valance panels. Chrome bumpers have been removed. Interior: custom dashboard, center console, and door caps made from birds eye maple. New leather seats and Recaro leather steering wheel. Electrical: new Autometer gauges. 12 volt battery. 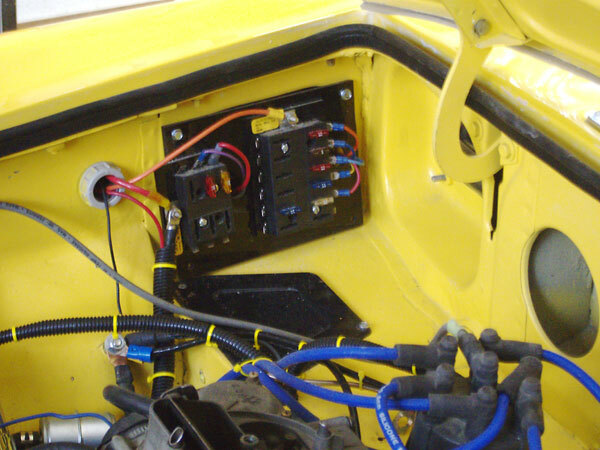 Custom wiring harness by owner. 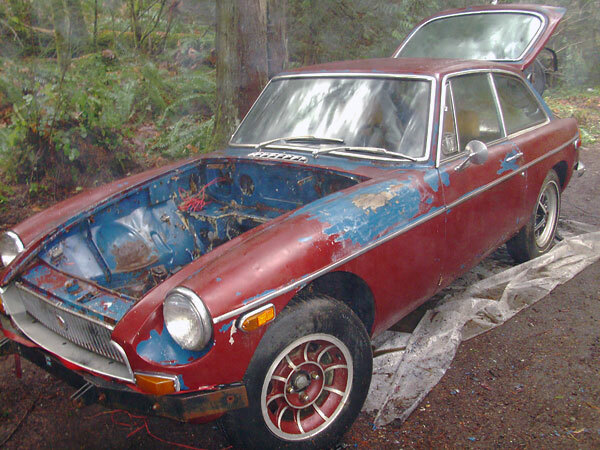 Comments: The goal was to restore the vehicle and increase power. 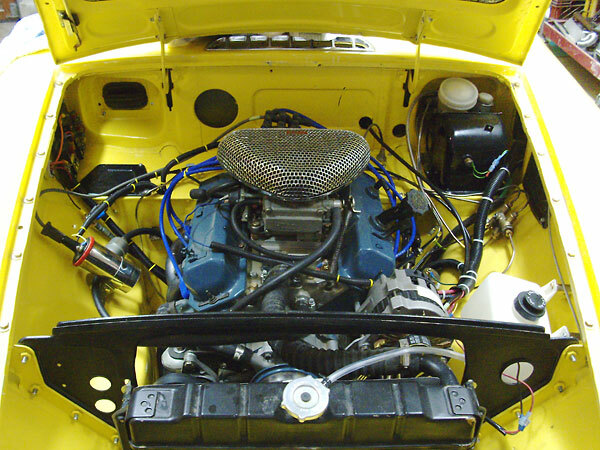 The GM 3.4 V6 engine was selected based on its size, torque and ease of installation, and Classic Conversions Engineering engine and transmission mounts were used. 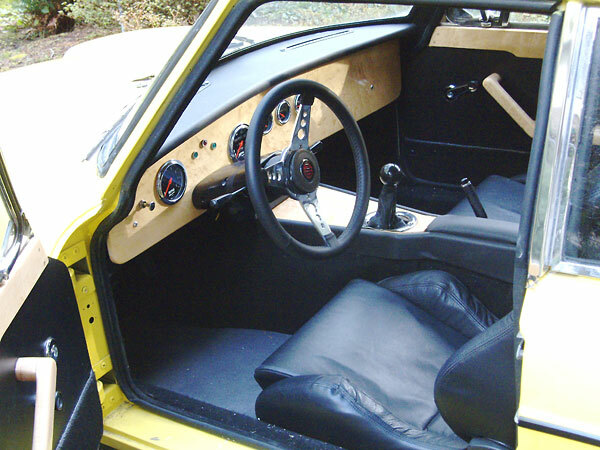 Since the engine was custom, there was no real desire to restore the rest of the car to original specs, hence a totally custom interior. 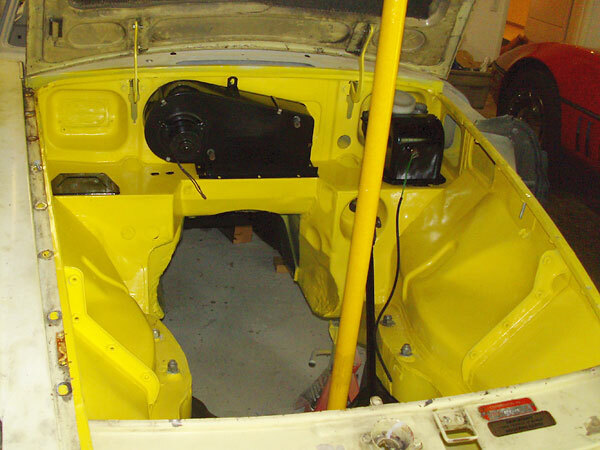 The rear seat was eliminated and a single level rear hatch space created. Completed engine installation (except that a heater hasn't been reinstalled yet). Holley 8007 390cfm carburetor on a modified Edelbrock intake manifold. The radiator shelf was cut so that the radiator could be relocated forward about four inches. Stock MG radiator with 14" fan and custom shroud. Radiator and fan shroud were bolted to radiator support. 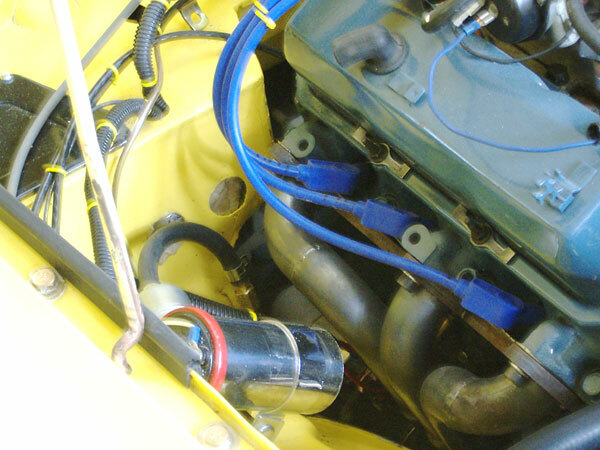 Due to the slope of the hood, when the radiator was moved forward it also had to be mounted lower. Motor mounts from Classic Conversions Engineering. Headers from Classic Conversions Engineering. 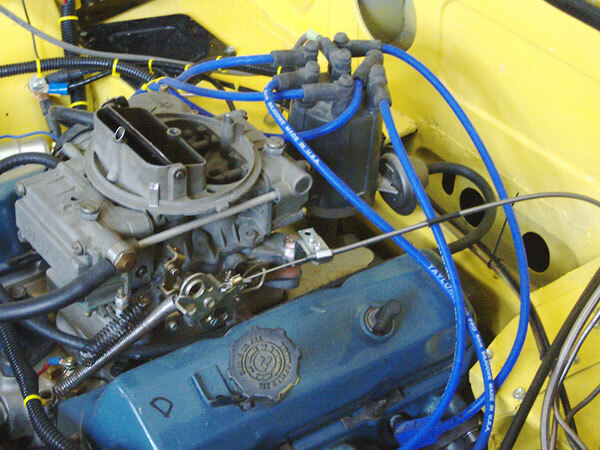 A 1982 Chevy S10 spec distributor triggers an MSD-6T multiple spark ignition module. 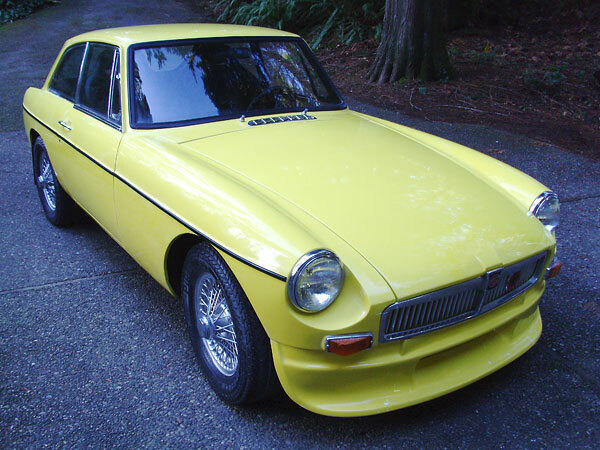 This is what the MGB GT looked like shortly after it was purchased, in December 2008. 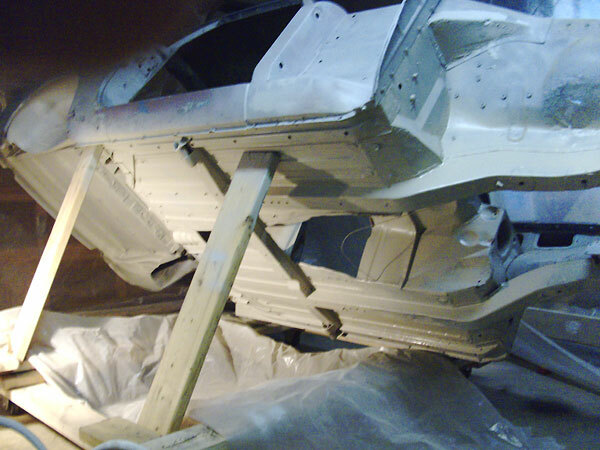 Stripped body was sandblasted and primed. Photo shows how car was hoisted and blocked to get to underside. 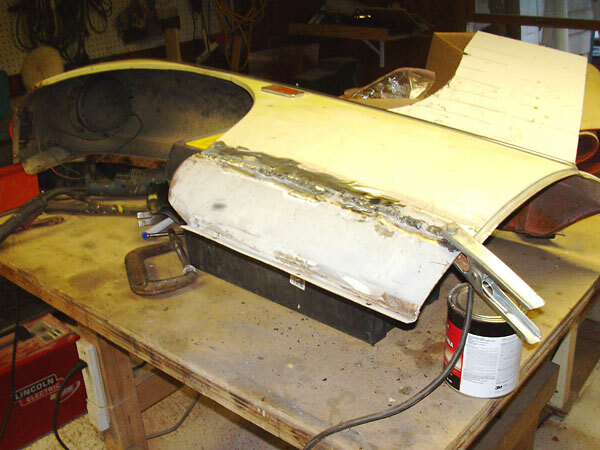 The lower part of both front fenders had rust, so they were repaired by welding on patch panels. 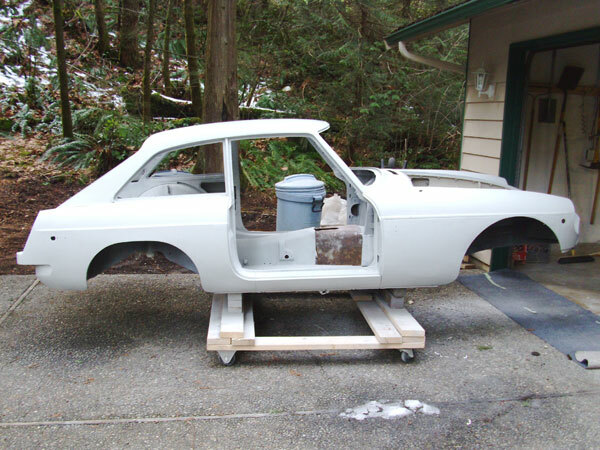 Primed bodyshell, ready for topcoats. A cart was constructed to move the bodyshell around in the garage. 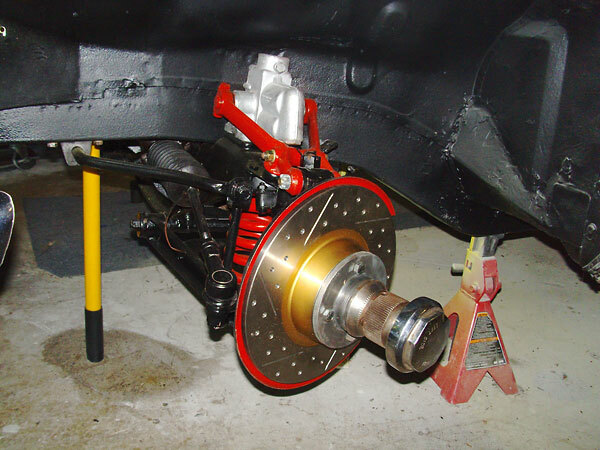 Stock MGB front suspension, with new EBC slotted and dimpled brake rotors. 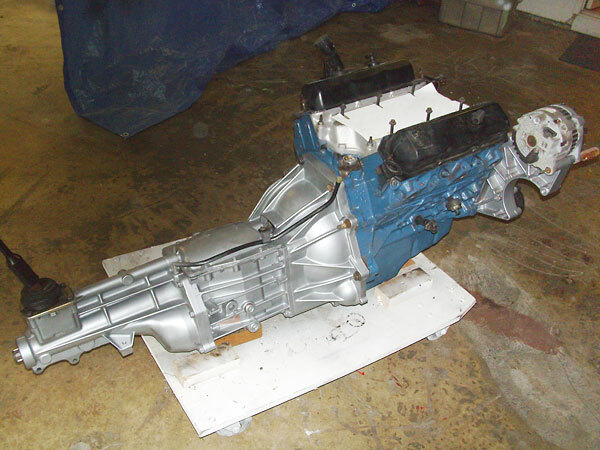 GM 3.4 V6 engine from a 1994 Camaro. 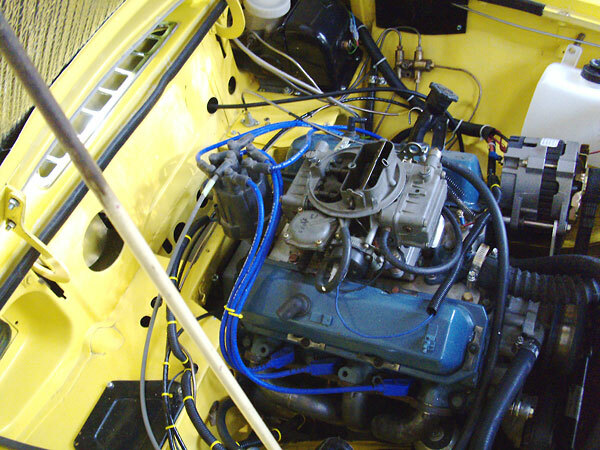 The engine was cleaned and the fuel injection system was removed. was modified to provide clearance for the headers. 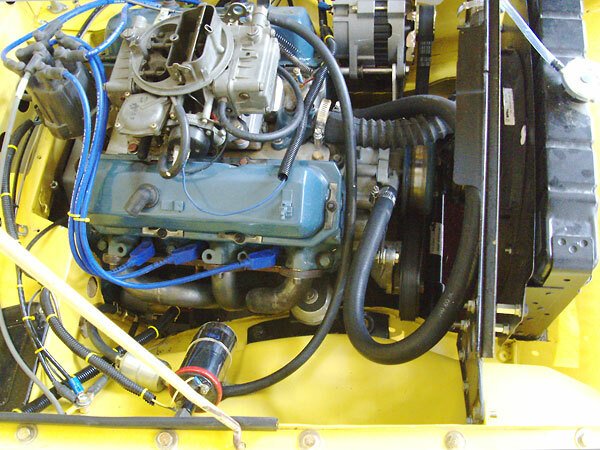 Engine and transmission in place. 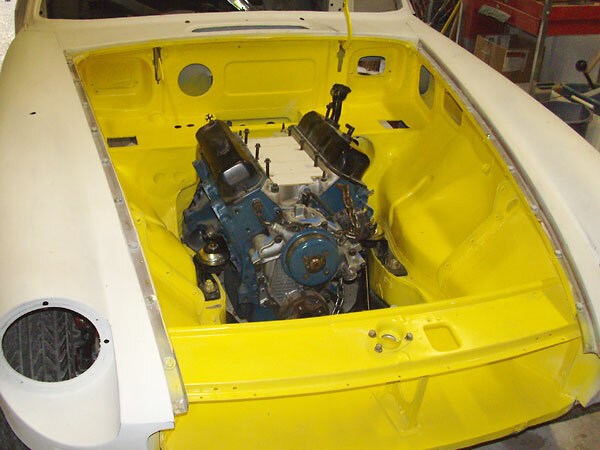 Engine was a very tight fit with motor mounts and steering shaft. 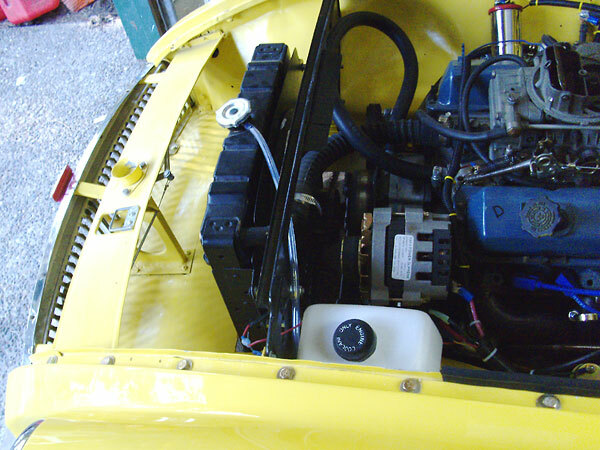 The distributor must be installed with vacuum advance facing forward for clearance to the heater. Rear valance fitted and glued on, then primed and painted. A chrome license plate holder was added. 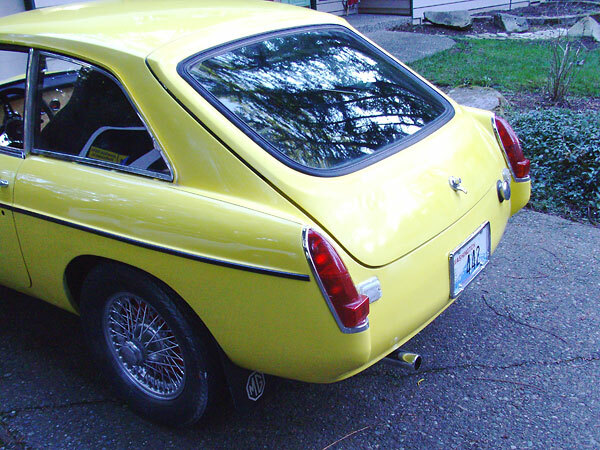 In Washington state, "collector cars" are only required to carry rear license plates. 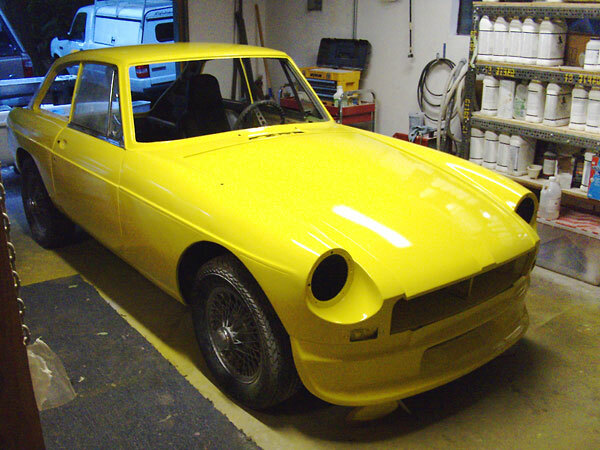 Exterior of car was primed, and then covered with Deltron base-coat and several coats of clear resin. Finish was then fine sanded, buffed, and polished. 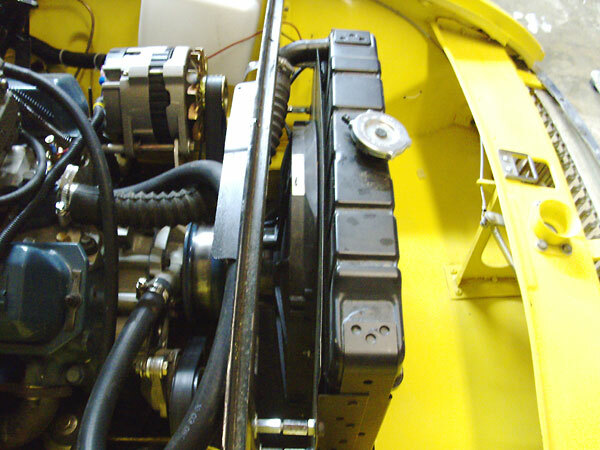 Steering shaft and header on driver's side. Dash and console made from half inch birds-eye maple. Leather Recaro seats. Autometer gauges. Custom door panels with birds-eye maple arm rests and caps. Rear cargo area with storage space for spare in rear, and battery in front. 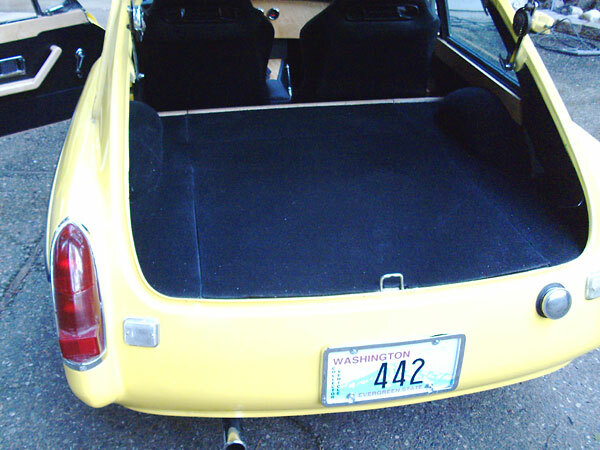 Rear seats were eliminated to provide a larger flat surface. 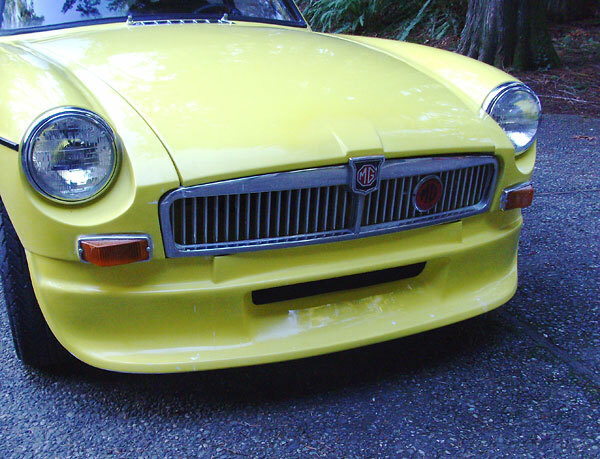 Front spoiler with stock grille. Rear valance and license holder. Single exhaust on driver side.